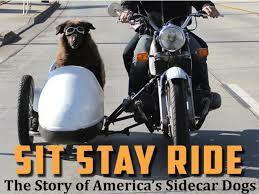 Sit Stay Ride is a Special Documentary for all Pet Lovers! Sit Stay Ride is a creative, positive and heart-warming film. As an animal lover and proud dog owner, this documentary about dogs enjoying life in the “fast lane” is truly captivating. Although I do not personally own a motorcycle or sidecar, I still feel a connection with this film. The real life stories of motorcycle enthusiast dog owners and their rescued canines was uplifting but emotional at the same time. As I watched it, I found myself smiling, laughing, and even shedding a tear! Throughout the film, I fell in love with each individual and dog too! I was intrigued the entire time because each adventure shared was special and unique in its own way. I love that this film is based on adopted dogs. 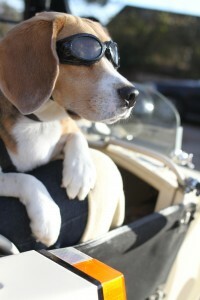 As an animal lover, it’s amazing to watch these pups enjoy the great adventures of life riding in a sidecar. To witness them in pure happiness, enjoying nature, and having fun on the road, touched my heart to say the least! I think all pet lovers will find true joy and happiness watching this documentary. Between the stories, music, and adorable dogs featured in this film, I give Sit Stay Ride four-paws up! This entry was posted in Pet Videos and tagged pet documentary, rescue documentary, rescue dogs, Sit Stay Ride on December 26, 2014 by Rebecca Symon.